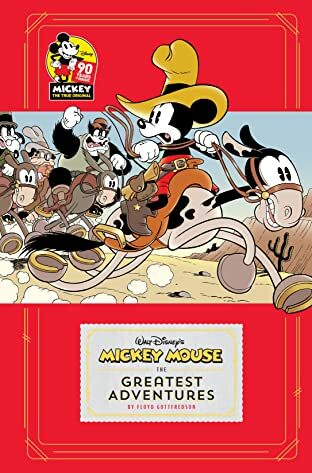 Today's America knows Mickey Mouse as a gentle do-gooder. 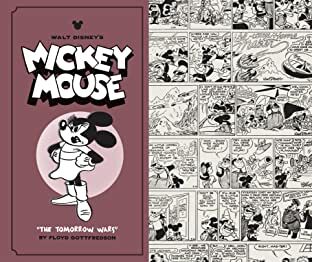 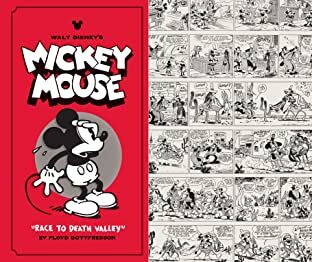 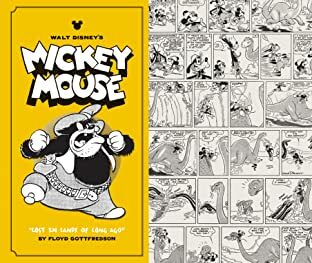 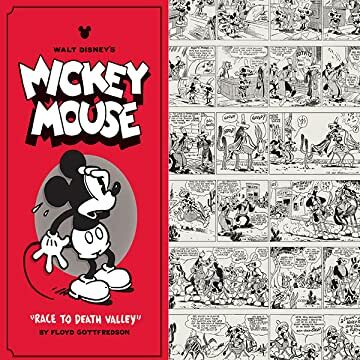 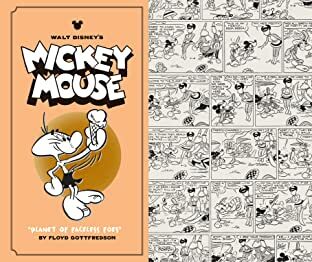 But in his heyday, Mickey rose to fame as an epic hero—a bold, adventurous scrapper battling mobsters, kidnappers, and spies! 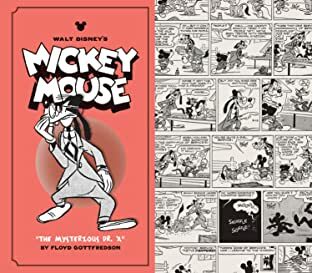 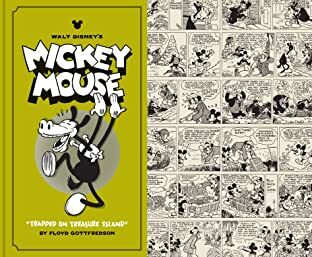 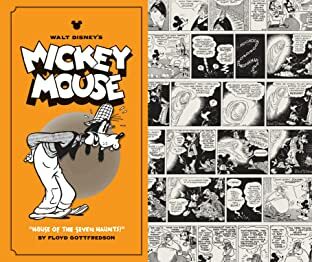 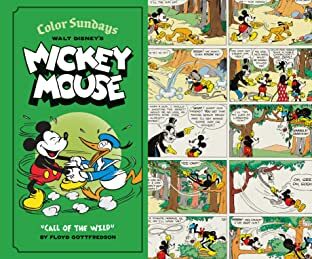 Mickey's greatest feats of daring took place in his daily comic strip, crafted by one of history greatest cartoonists, Floyd Gottfredson. 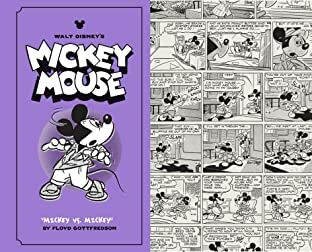 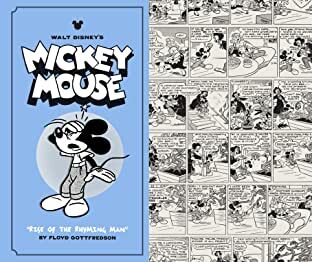 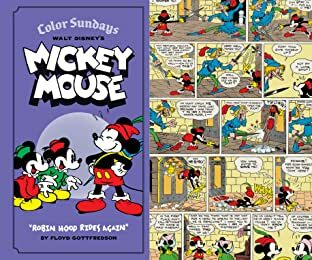 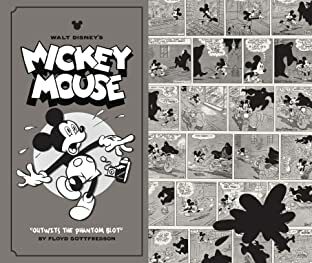 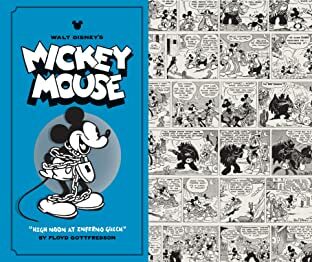 For 25 years, Gottfredson's Mickey Mouse strip was a trendsetting serial that led where other adventure comics would follow. 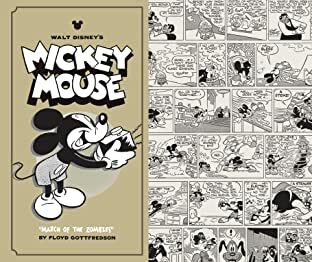 But as great and influential as Gottfredson's life's work is, it has never been comprehensively collected in English... until now!